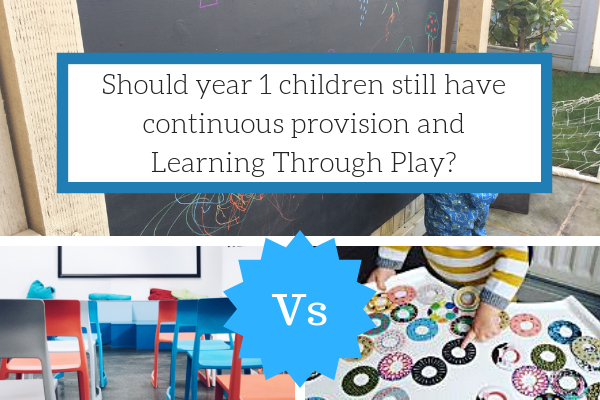 Arthurwears: Should year 1 children still have continuous provision and Learning Through Play? The idea of Year 1 classrooms moving towards an approach more akin to the Foundation Stage is a contentious point within the primary education system in England. In 2000, the government introduced the Foundation Stage (DfES 2000) for all children aged 3-5 years, which focused on child initiated and play based learning. Only a year or two earlier, children in key stage 1 (KS1) were introduced to The National Literacy Strategy (DfEE 1998) and National Numeracy Strategy (DfEE1999) which were entirely based on teacher initiated learning, placing the two phases at entirely opposite ends of the scale. This inevitably caused transitional problems for children in the move from a play based approach in Foundation Stage to a more formal approach in KS1. In response, the DfEE ‘Study of the Transition from the Foundation Stage to Key Stage 1’ ( Sanders et al, 2005) shortly followed the Ofsted (2004) report ‘ Transition from Reception Year to Year 1’ which were of the opinion that children in Year 1 needed opportunities to learn in the same way as children in the Foundation Stage. Following on from ‘The Independent Review of the Primary Curriculum’ (DCFS 2009) by Sir Jim Rose, Primary schools became ready to embrace a new primary curriculum with ‘areas of learning’, in line with the Early Years Foundation Stage (EYFS), which replaced ‘subjects’. This lead many schools to introduce, or indeed continue the concept of child initiated learning and continuous provision into their Year 1 classrooms in response to this future change in curriculum. Prior to the new Coalition Government taking office in May 2010, Michael Gove, the then Shadow Children’s Secretary spoke of a return to ‘traditional’ education, stating that he is “an unashamed traditionalist when it comes to the curriculum” and favours traditional ‘subjects’, (The Times 2010) and indeed, in June 2010, it was confirmed that the new Government would not proceed with the new primary curriculum based on the review led by Sir Jim Rose. These rapid changes in opinion and policy inevitably lead to tensions and mixed feelings within primary schools between practitioners and managers as to which is the best way forward. 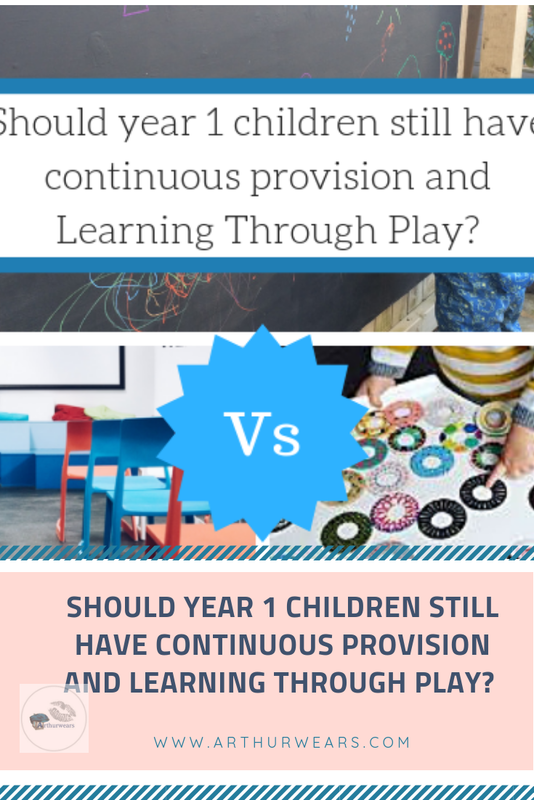 Introduction - What is continuous provision and Learning Through Play? Continuous provision is ‘carefully chosen and organised quality resources placed in areas which are always available for children to access independently across every area of learning’ (CfBT 2011). In an indoors environment, according to Drake (2009) these ‘areas’ can include: role play, construction, mark-making, maths, water, sand, workshop, malleable, music, painting, book, IT, movement and relaxation areas depending on the physical characteristics of the setting. All areas can be “enhanced regularly through the addition of extra resources...in order to further develop and extend children’s learning in certain areas” (p.2). Although this ‘provision’ is essentially within a play-based learning environment, this does not mean that all learning that takes place within is simply free-flow, child-initiated play. Indeed, the introduction of the Foundation Stage denoted that practitioners should deliver “a play based curriculum with substantial amounts of child-initiated learning, and that their role was to facilitate and support learning rather than direct it” (Fisher, 2010), however, different kinds of learning may take place at the same time, including adult-initiated learning, where “the teacher has in mind clear learning intentions but, once the resources are set up and the activity ‘kicked off’, she leaves the children to learn independently” and adult-led activities where “the adult has clear learning objectives to achieve by the end of the session...and will stay with them until the group has learnt what has been planned” (Fisher, 2010). "At the age of six or seven...boys are six to twelve months less developed mentally than girls. They are especially delayed in what is called 'fine-motor co-ordination', which is the ability to use their fingers carefully and hold a pen or scissors. And since they are still in the stage of 'gross-motor' development, they will be itching to move their large muscles around - so they will be no good at sitting still." (Biddulph, 2003). Although this study does not aim to discuss gender specific teaching and learning, this is an important point in considering how the learning environment allows for all children to continue to develop both physically and mentally. The 2005 NNA guidance document ‘Continuing the Learning Journey’ was designed to help schools give children a positive experience of transition as they move into key stage 1. It discusses making “the curriculum in year 1 responsive to children’s needs” and promotes more child initiated learning, recommending that features of Foundation Stage practise should be continued through into KS1. There is mention of the importance of “opportunities to develop gross motor skills in writing” ensuring that writing activities planned for children are in line with their physical and emotional development.” (p41) and discusses how “a lack of freedom to move and work at places other than tabletops” can inhibit motivation in children, particularly boys. Of course, the issue of transition cannot be the sole reason for the use of provision in year 1. Some may argue that transitional issues could be eased by introducing the more formal, subject specific methods of teaching into reception classes in order to prepare children for KS1. Indeed, the HMI (2001) survey found that under the DfEE guidance, “most reception teachers recognise the importance of preparing children properly for Year 1, giving them sufficient experience of the full literacy hour and the daily mathematics lesson...and ensure that pupils have sufficient experience ...before they enter Year 1”. Surely then, if elements of KS1 practise are introduced by a school into the EYFS classrooms in this way, it stands to reason that elements of the EYFS should be introduced into KS1 classrooms at least in the beginning. It has been suggested, however, that the formal ‘teacher directed’ approach to teaching subjects in this way is more concerned with how children progress “in the areas assessed by national tests” (Sanders et al 2005), and studies “have suggested that Year 1 teachers may feel under pressure to adopt more formal approaches in order to prepare children for National Curriculum Assessments” ( Adams et al 2004 in Sanders at al 2005). Transition and NC Assessment issues aside, what is the published opinion on effective practise concerning simply the needs of the child? Two major pieces of DfES funded research include ‘REPEY’ – Research into Effective Pedagogy in the Early Years (Siraj-Blatchford et al, 2002) and ‘EPPE’ – Effective Provision of Pre-school Education (Sylva et al, 2004). The KEEP – Key Elements of Effective Practice guidance (DfES 2005) states that ‘REPEY’ has explored “characteristics of different kinds of provision and examined children’s development in early years from age three and their progress in school to the end of Key Stage 1” (p.10) and that significant points to consider from both REPEY and EPPE are “the importance of the practitioners role in balancing adult-led and child-initiated activities, the need to engage in ‘sustained shared thinking’ and the kinds of interactions that will guide but not dominate children’s thinking”. The KEEP guidance makes an important point that within Early Years “children do not make a distinction between ‘play’ and ‘work’ and neither should practitioners” (p.11). If such a statement is true, then it could be conducive to children no longer being ‘children’ in such a sense once they enter KS1, taking into account the obvious separation of ‘work’ and ‘play’ within many classrooms in a formal KS1 environment. It begs consideration of the question as to what the UK and its current education system believes happens to children once they reach the age of 5 years which means they no longer need the same teaching and learning opportunities available to a 4 year old. Fisher (2010) feels that the initiatives that have been introduced don’t give sufficient consideration as to whether they are appropriate for 5 year old learners and that based on a child’s learning needs in year 1 being similar to those in reception, “children should not go from being a ‘unique child’ (DCSF 2008) to a ‘year 1’ in one small step down the school corridor” (p.18). Sander et al (2005) mention that many teachers expressed concerns for certain groups of children who found the move to KS1 more difficult, including “ the youngest in the year group...children described as ‘less mature’ and children with special educational needs”. She is keen to point out however, that this ‘planning’ is not always related to a specific outcome or course of an activity, rather it relates to planning an enabling environment which includes provision and adult support, going back to the importance of ‘implementation’. In Northern Italy one of the key principles of the Reggio Emilia style of teaching, which is based on a child-centred approach, is the idea of “the environment as third teacher” making sure that the learning environment and its materials and equipment support educative encounters (Wood and Attfield, 2005). In contrast to the idea of ‘activity’ based teaching and active learning, the DfES (2004) publication “Excellence and Enjoyment: learning and teaching in the primary years” discusses research by Mortimore et al (1988) which showed “whole-class teaching to be an effective strategy for promoting learning which increases pupil challenge and stimulation. This is achieved when the whole-class teaching involves the active engagement of the children.” However, it is also mentioned that critics of whole-class, direct teaching and teacher exposition characterise it as “a passive learning experience for children which fails to differentiate for the individual needs within the class”(p 31). “Play is not ‘another subject’, not something ‘other than’ the curriculum – it is the way in which most children will access and learn the stuff of the curriculum in a highly effective way” (p.93). Even historical guidance on primary teaching seems to recognise the needs and transitions of the younger children. The 1959 Department of Education and Science handbook on Primary Education states that there should be no “sharp division between the infant, junior...and that the transition...should be as smooth and gradual as possible”(p.6). It recognises that for children at the beginning of the primary stage “the quality of their learning depends on their being in an environment which stimulates them to explore and find out...the classroom should be a play-room, work room and living room combined” with provision, “materials and tools suggested for nursery schools”. Resources for role play, construction, mathematics, creativity, mathematics, music and books are recommended “and arranged so that children can see, handle, use and take care of them” (p.44) . In comparison to Reception, most children decided that there was ‘more work’ or ‘harder work’ in Year 1 such as writing and that classroom ‘play’ only happens during ‘wet play’ whereas Reception involved more play and less work. One child commented that there are ‘more tables’ than expected in Year 1. Of the children who decided that they preferred to work in provision, their choice was based on the possibility of play and ‘fun’, such as ‘dressing up’. They suggested that the classroom would be improved if they could undertake more play activities. The majority of children said that ‘playing’, ‘wet play’ and ‘playtime’ was their favourite part of school. Although on a much smaller scale, these findings show similar thoughts and opinions to those taken from a larger sample. The studies, as mentioned previously, that suggested Year 1 teachers feel under pressure to veer towards ‘formality’ for the sake of the school system and national curriculum assessments (Adams et al 2004 in Sanders et al 2005) were certainly felt by some staff respondents, although this worry of fitting in provision time with “timetabled subjects” and the “constraints” this brings seemed to suggest that ‘play’ or ‘provision’ was viewed as ‘another subject other than the curriculum’ as mentioned previously (Fisher, 2010). Fisher (2010) describes this as a situation where ‘play’ is seen as a ‘carrot’ for “getting finished the more important teacher’s work” and that only being allowed a short period within which to do this leads to a deterioration of the ‘quality’ of play because children are aware of the time constraints so play will “never develop beyond superficial ‘playing around’”. The fact that some children viewed the provision time as a ‘reward’ for those who had been ‘good’ diminishes the idea that such an environment is a useful and important learning tool for all children. It also means that children won’t see play as a “central part of their everyday learning opportunities” (Fisher 2010) and adds to the separation of work and play even more so. The responses from the children displayed a definite need of ‘play’ opportunities, with many choosing play times as their favourite times at school and requesting ‘more play’ as an improvement suggestion, or better resources. Indeed, whilst teaching a lesson on ‘shadows’ within the classroom environment where both adult led and adult initiated activities had been planned to allow for active learning with a more ‘play based’ approach, some children replied with cries of “thank you!”. Most were able to distinguish between Year 1 and Reception by the level of ‘hard work’ in Year 1 and ‘play’ in Reception, such a differentiation suggests that transitions between the two phases could be improved so that children do not feel such a loss in terms of play opportunities, or a burden in terms of the perceived workload in comparison. 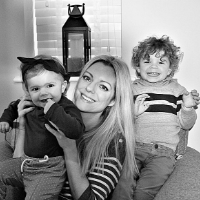 The school researched for this piece have recognised the need to ease transition between EYFS and KS1 and the part this can play in the different developmental stages for children of this age range. It is clear from the data collected that there is a resounding opinion that Year 1 children should certainly have the use of continuous provision, all respondents were able to articulate the reasons for this and the benefits this would bring to the children’s learning. If the resources and opportunities available to them are exciting and stimulating – the children will want to learn independently within the environment. It is clear that there will always be conflicting interests between practitioners and policies, and Fisher (2010) believes that when you are being pulled between pillar and post “there is only one place to look – at the children. Initiatives may come and go, policies may change – but the children and how they learn remain constant” (p.27). This gathering of information needs to start before the child enters Year 1. 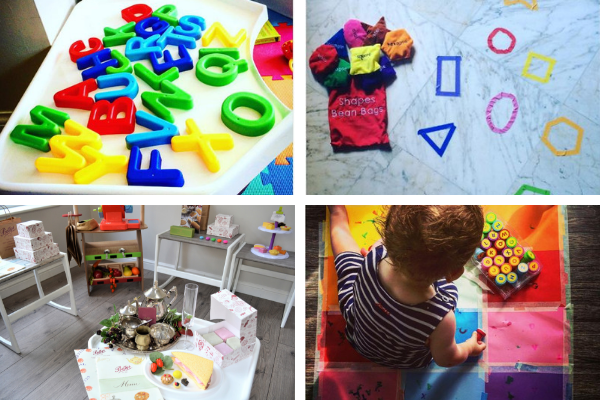 In order for any practitioner to effectively plan activities and continuous provision, they need to see the children in their EYFS setting, how they learn and the resources they have available to them. In turn the children also need the opportunity to visit their new KS1 setting so that they may get to know the teacher and become familiar with the environment, having access to something tangible like a ‘transition book’ with pictures and information from both the child and the teacher can alleviate some anxiety for the child and could prove a useful piece of information when starting to plan effective provision for the class. This information needs to be shared between all practitioners who work with the class, observations noted by TA’s should be discussed with the class teacher so that future planning may be informed. All staff working within the year group should have an understanding of the EYFS principles, the importance of scaffolding learning and the knowledge to appreciate where intervention is, or indeed is not appropriate in order to move the child on in their learning. A teacher is able to extend possibilities and facilitate new experiences, but there is a “fine line between intervening in play and interfering in it” (Fisher 2010) which will not serve to extend their thinking and learning. Whichever system is right for the children, all adults must be involved in making sure it is implemented effectively, and understand their role within. The process of learning, trial and error and willingness to improve is modelled by the school, for the children, in their attempt to introduce continuous provision into Year 1 and resolve in making sure this becomes a success. As Fisher (2010) puts it, “The important thing is not ‘the knowing’ but ‘knowing how to find out’” (p.184). NB: this piece is subject to copyright and should not be reproduced or copied without permission. DCFS (2008) The Early Years Foundation Stage. Nottingham:DfES Publications. DfES (2000) Curriculum Guidance for the Foundation Stage. 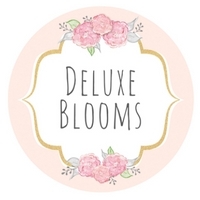 Nottingham: DfES Publications.